Gabriel Marinaro serves as special counsel in the Employee Benefits and Executive Compensation group. 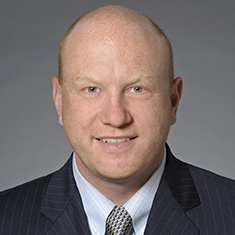 His practice focuses on all aspects of employee benefits and executive compensation. He regularly counsels publicly traded and privately held companies, tax-exempt organizations, and governmental entities on a variety of employee benefits and executive compensation matters. Gabe also advises multinational entities on executive compensation and equity compensation matters. Gabe assists both publicly traded and privately held companies with equity compensation matters, including drafting equity incentive plans, securities filings, award agreements, and other documentation surrounding the implementation of an equity incentive plan and the underlying awards. Gabe also has drafted and advised on profits interests plans and unit appreciation rights plans for limited liability companies. For corporate transactions, he advises clients on the treatment of equity awards in various types of deal structures and performs due diligence on the equity plans of the buyer or seller. Gabe also drafts severance agreements, change in control agreements, retention bonus agreements and employment agreements that are often negotiated in connection with a transaction. In addition, Gabe advises on compliance with ERISA, the Internal Revenue Code, HIPAA, the Affordable Care Act, COBRA, and other laws impacting employee benefit plans and arrangements. Gabe regularly drafts compliance documentation for employers sponsoring health and welfare benefit plans, including ERISA "wrap" plan documents, Summary Plan Descriptions, HIPAA Business Associate Agreements, and HIPAA Privacy and Security Policies and Procedures. Gabe assists employers on retirement plan matters, including drafting required and optional plan amendments, filing for IRS determination letters, fixing retirement plan errors (including making filings under both IRS and DOL correction programs), and advising on retirement plan investment fiduciary matters. Gabe also advises on employee benefit matters related to corporate transactions, including drafting and negotiating representations and warranties, advising on merging or terminating retirement plans, and performing due diligence on employee benefit plans and arrangements. Shown below is a selection of Gabriel’s engagements.